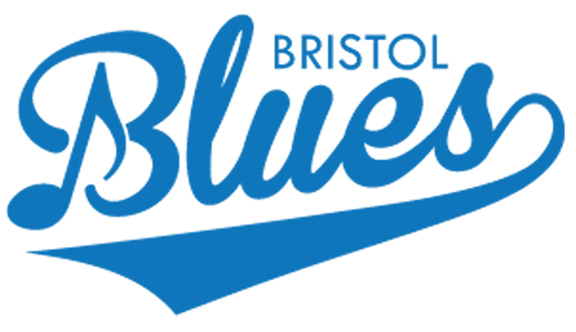 Bristol scored five runs in the final three innings, but could not overcome an early eight run deficit as they lost to the Worcester Bravehearts 8-5 in five innings Wednesday night. The skies were ominously grey when Bristol fans filed into Muzzy Field, and the runs came in droves early for Worcester. Blues’ starter Justin Rouse (Rhode Island) struggled with command in his first two starts, and it was more of the same in his third. After allowing a lead off single to Worcester center fielder John Thrasher, Rouse hit Chris Rinaldi and walked Michael Dellicarri to load the bases. Clean up hitter Brett Coffel then smacked a sinking line drive into left field, dropping in front of Richard Brereton, making his first start in left this year. The ball took an awkward hop, bouncing over Brereton’s head. The error allowed the bases to clear, giving the Bravehearts an early 3-0 lead before the Blues even recorded an out. Coffel would come around to score on a single from John Hansen, who then scored on a Joseph Pesce base hit to increase the Worcester lead to five. As rain started to spit, the Bravehearts continued to pour it on, now against Bristol reliever Jason Hebner (Fairfield). Back to back doubles from Pesce and nine-hole hitter Mariano Ricciardi plated three runs, as the lead was pushed to eight. The Blues would answer in their half of the third. After singling up the middle, second baseman Ian Ostberg (Quinnipiac) advanced to second on a balk from Worcester starter Sebastian Gruszecki. Ostberg scored on an Alex Loparco (WNEU) double, who came around to score on a single from catcher Patrick Winkel (UConn). Bristol would take advantage of some sloppy Worcester play to cut into the 8-2 lead in the fourth. First baseman Matt Bonvicini (UConn) advanced to second after Braveheart Ricciardi threw away a routine ground ball to second base. DH Alex Baumann (Bucknell) then walked, and both base runners advanced on a wild pitch. Ostberg’s second hit of the day drove the pair in, cutting the lead in half. As the rainfall increased, it became a race against time for the Blues to retake the lead. In the bottom of the fifth, Brereton drove in Loparco on a single to right field, making it 8-5. Worcester then brought in reliever Rob Cerulle to put out the fire. With runners on first and third, Bonvicini stepped to the plate representing the game-tying run. On the first pitch he saw, Bonvicini grounded into a 4-6-3 double play, which ended the inning, and ultimately the game. The home plate umpire ruled the field unplayable, and after five full innings of play, the result became official. Gruszecki earned the victory on three innings pitched with four earned runs. Rouse drops to 1-1 on the season with the loss. The Blues fall to 14-10 overall, three games back of the Sharks. After an off day tomorrow, the Blues return to Muzzy Field on Friday to take on the Nashua Silver Knights at 7 pm. Fireworks are set for after the final out!